Super king size zip and link mattress, my side is too soft. Is it possible to buy a new half a mattress to link and attach to my partners half? We bought the above mattress from you. My partner loves his side, but unfortunately it is too soft for me. Is it possible to buy a new half a mattress? To link and attach to my partners half? Thank you for your enquiry. I am sorry you are not getting along with your John Ryan mattress. 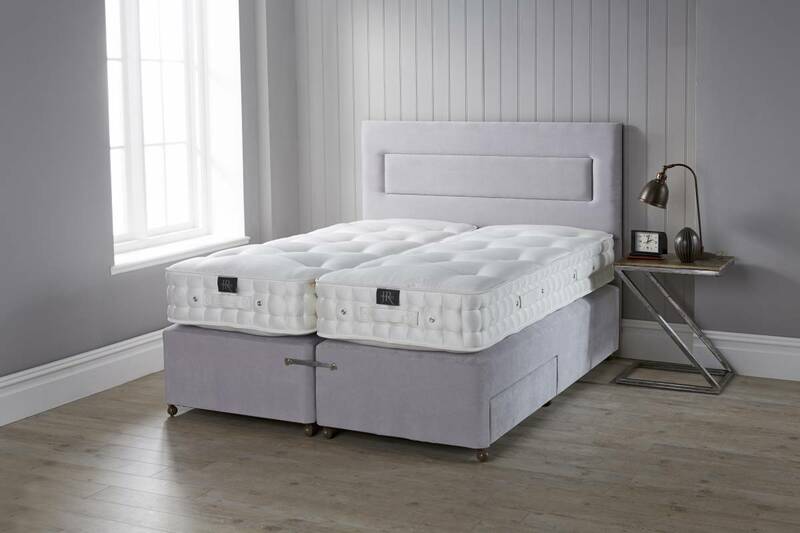 Unfortunately, it would not be possible to replace one half of a zip and link mattress as they are made as a pair, one half of each zip is attached to each mattress. Without knowing the details of your order, what model and spring tension(s) you have and when you purchased it, I am unable to advise you further. Please call the office on 0161 437 4419 with this information and one of our advisers would be happy to help.